The spine is made up of a column of bones separated by spongy intervertebral discs. These discs allow the spine to move and also act as shock absorbers preventing the bones of the spinal column from grinding against one another. Each disc is made up of a strong outer ring of fibers called the annulus fibrosus and a soft, gel-like center called the nucleus pulposus. The outer ring of thick fibers attaches to the vertebrae and holds the disc in place. A herniated disc occurs when the outer fibers tear or rupture and the gel-like center moves out of its normal position and into the limited space of the spinal canal. The displaced disc may compress nearby spinal nerves or exert pressure on the spinal cord. In addition, the gel-like center releases chemical irritants that can cause nerve inflammation and pain. Herniated discs can occur in any area of the spine; however, they are more likely to occur in the neck and lower back. Fortunately, this can be corrected with Dr. Stieber's NYC herniated disc surgery. When a herniated disc presses on a nerve, pain, numbness, and/or weakness of the affected area may result. In contrast, if a herniated disc is not pressing on a nerve, mild pain may be the only symptom. The location of the herniated disc and the severity of the herniation dictate symptoms. Mild to severe lower back pain that is aggravated by movement. Sciatica (pain, burning, tingling, or numbness that extends from the buttock into the leg or foot). Mild to sharp pain in the neck or between the shoulders blades that is aggravated by movement. Pain that radiates down into the arm, hand or fingers. This is called a radiculopathy. Herniated disc surgery in New York is most commonly performed on middle-aged and elderly adults. The most common cause is disc degeneration, which is natural, age-related wear and tear. With age, the spinal discs naturally dry out, losing their strength and resiliency. This can make them more likely to tear or rupture. If you suspect that a herniated disc is the underlying cause of your back pain, you will need to schedule an appointment at our New York office to confirm the diagnosis and receive a customized treatment plan that can relieve your discomfort. To learn more about Dr. Stieber's NYC herniated disc surgery, contact us today. During your visit, Dr. Stieber will begin by evaluating your back for tenderness. He will ask you to move your legs into various positions to assess your pain, as well as test your reflexes, muscle strength and ability to walk. In the vast majority of cases, this examination is all that is necessary to confirm a disc herniation diagnosis. However, if Dr. Stieber suspects that another condition is involved or needs to identify specific nerves that may be affected, he may also order an x-ray, CT scan, MRI or nerve tests to further evaluate the area. • Medications, such as anti-inflammatory medications to reduce swelling and pain, muscle relaxants to calm spasms, and narcotics to alleviate acute pain. • Epidural corticosteroid injection(s) may help relieve significant radiating pain in the arm or leg. For those patients that do require herniated disc surgery in New York, you will find our outpatient minimally invasive microdiscectomy has a multitude of benefits. Click here to learn more. Dr. Stieber is known throughout New York for his personalized and highly effective approach to resolving back pain. As such, he will formulate a custom treatment plan that is based on your symptoms. If your condition is steadily improving, conservative approaches may be all that’s required. If your condition continues to worsen, Dr. Stieber's herniated disc surgery in NYC may be the best treatment option. A laminotomy and discectomy is the standard surgical procedure for treatment of a lumbar herniated disc. 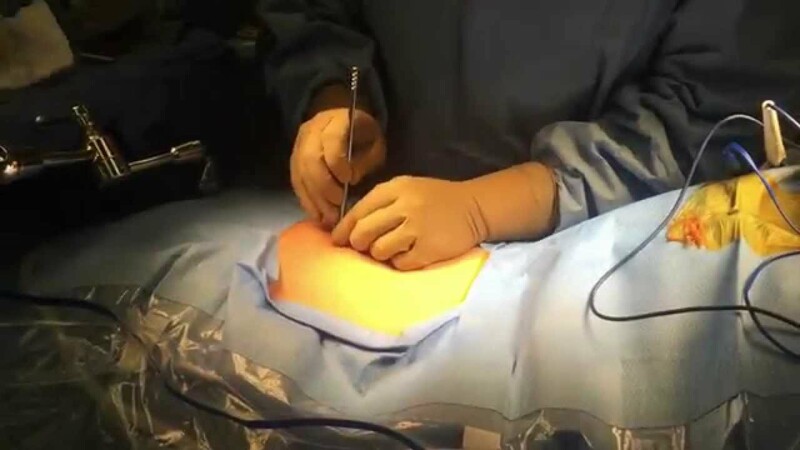 The surgeon removes a small portion of the bone to gain access to the spinal canal (laminotomy) and then removes a portion of the herniated disc (discectomy). In certain cases, spinal fusion may be required. For our NYC patients with a lumbar disc herniation requiring herniated disc surgery, Dr. Stieber offers the most advanced minimally-invasive treatment options using extremely small incisions and allowing outpatient treatment. Tubular microdiscectomy involves the use of a robotic microscope to remove the offending herniated disc through an incision of 16-18mm. Endoscopic discectomy utilizes a specialized camera inserted into the spinal canal through a ¼ inch incision and dedicated instruments to treat the damaged disc. Potential advantages of these minimally-invasive approaches include decreased pain, quicker recovery, and an enhanced cosmetic result. Strengthening your back and abdominal muscles can support the spine and prevent injury to the area. Keeping your back straight and aligned can reduce pressure on your spine and discs. Pay close attention to your posture when sitting for long periods, and lift heavy objects using your legs, not your back. Being overweight places additional pressure on your spine and discs, which puts you at risk for herniation.